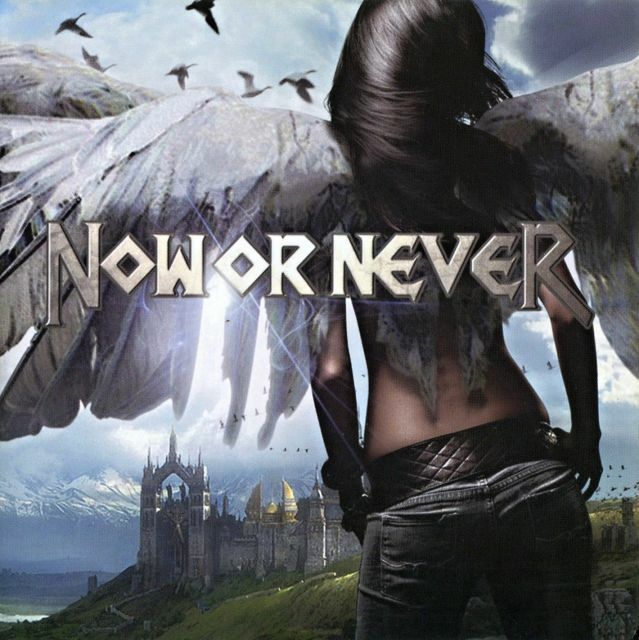 Now Or Never was founded in 2012 by guitarist Ricky Marx (ex-Pretty Maids) and drummer Ranzo, to be joined soon after by vocalist Jo Amore (Nightmare), and bass player Kenn Jackson (also a veteran ex-Pretty Maids member).Now Or Never recorded their debut at the Peek Studio in the South of France, coproduced by the band and Pat Liotard. The eponymous album will be released worldwide on the Mausoleum Records label, mid-November 2013 in Europe and Asia, mid-January 2013 in North America. A band of experienced musicians, both on the road and in the studio, Now Or Never perform epic anthems featuring bonecrushing filthy riffs and memorable mélodies delivered by a singer whose voice has been justifiably described as bloodcurdling. 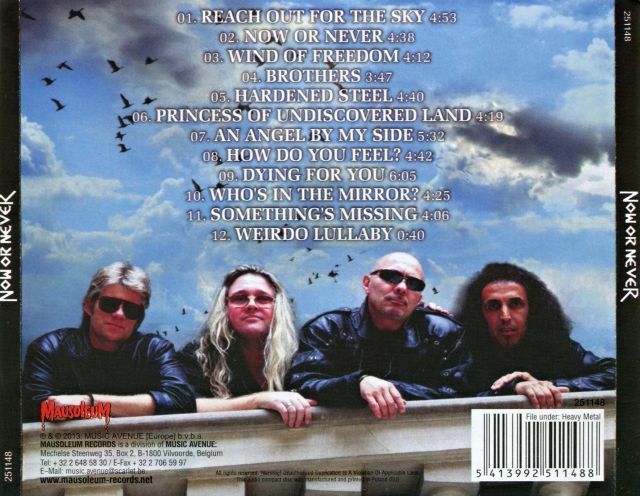 Now Or Never epitomizes the evolution of Hard Rock into modern Metal Music. An inventive and experienced guitar player, Ricky Marx played with Pretty Maids from 1988 until 1991, and recorded two albums with them. He’s also an experienced producer and accomplished songwriter. Kenn Jackson played bass with Pretty Maids for nearly 20 years from 1991 until 2010, and recorded more than 13 albums with the Danish Hard Rock/ Heavy Metal formation. Originally a drummer, Jo Amore traded in his sticks for a microphone, and is currently also the vocalist for the successful French Metal band Nightmare, with whom he recorded a dozen or so albums, as well as performing on the stages of major festivals, and touring all over Europe and South America. A powerful drummer, Ranzo played with various Swiss and German bands, such as Sultan, with whom he recorded a couple of albums. Having collaborated with Nightmare in the past, he wrote most of the lyrics on Now Or Never’s debut album, and also co-wrote some of the music with Ricky Marx.